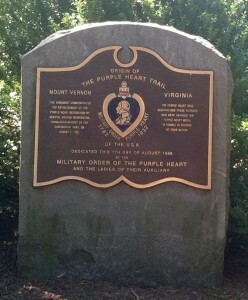 There’s a marker just a few yards left to the entrance into Mount Vernon that is often overlooked but a pretty cool remembrance of history. George Washington wasn’t allowed by the Continental Congress to promote Revolutionary War soldiers based on merit. But, Washington found a way around it, establishing the Badge of Military Merit on Aug. 7, 1782. Sergeant Elijah Churchill, 2nd Continental Dragoons; Sergeant William Brown, 5th and Sergeant Daniel Bissel, 2nd Connecticut Continental Line Infantry. The award was discontinued after the war, but Gen. John “Blackjack” Pershing created the Purple Heart in 1932 in General Order No. 3 to honor the bicentennial of Washington’s birth. 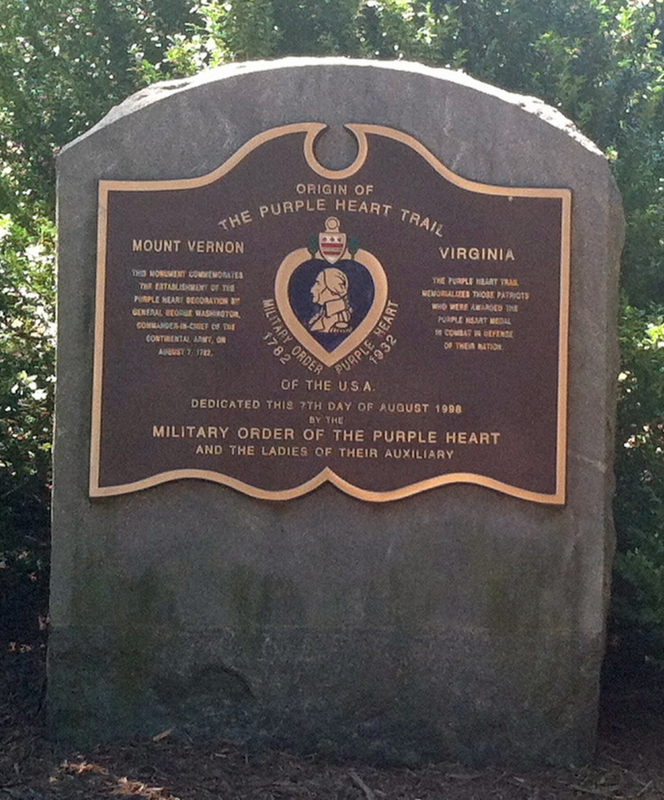 This entry was posted in Attractions and tagged Best Mount Vernon tours, George Washington, Mount Vernon, Photo by Rick Snider, Purple Heart. Bookmark the permalink.